Ten years after the passing of gaming legend Gary Gygax, he may have another game releasing soon. 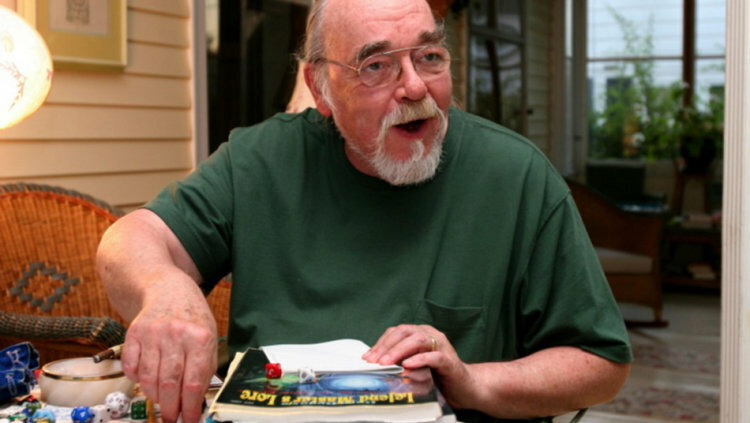 Gygax earned his fame by helping develop "Dungeons and Dragons" in 1974. The franchise was not owned by Wizards of the Coast until 1997. The Gygax family trust partnered with crowdsourcing company Fig, which allows gaming developers to offer equity in the game for early investors in addition to standard tiered rewards like t-shirts, soundtracks, and art. Alex Gygax, the younger of Gary's two sons, has been chosen as CEO to spearhead the work keeping close to the spirit of his late father's vision. However, Alex doesn't intend to keep the games to the original pen and paper medium - something Gary had considered himself. Currently, the Gygax Trust is hosting an open call for developers to help create the unpublished games. Developers who are interested in helping the campaign can send their proposal to pitches@fig.co. A green-light committee of experienced developers will then review it. The green-light committee includes developers from Gearbox, Obsidian, Harmonix, and Double Fine.